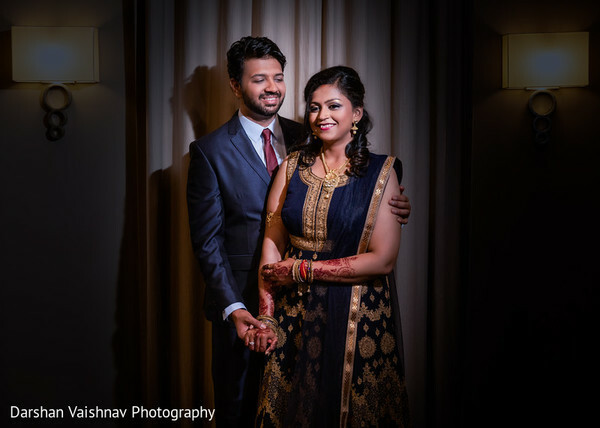 Cheers to the lovely couple! 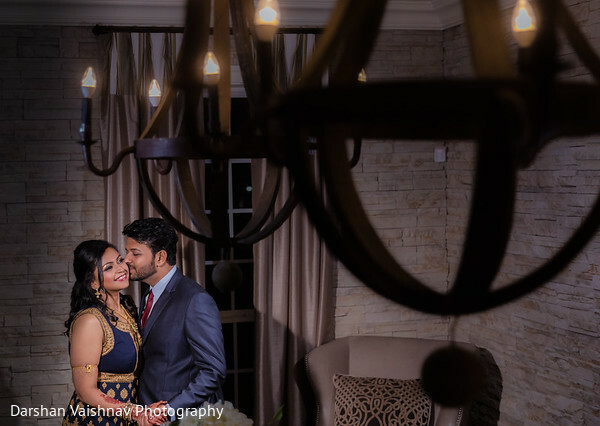 Sai and Abhishek were ready to keep on going with their wedding festivities as the night wore on, and the now husband and wife opted for a simple yet elegant private soiree that gathered just a few lucky loved ones. 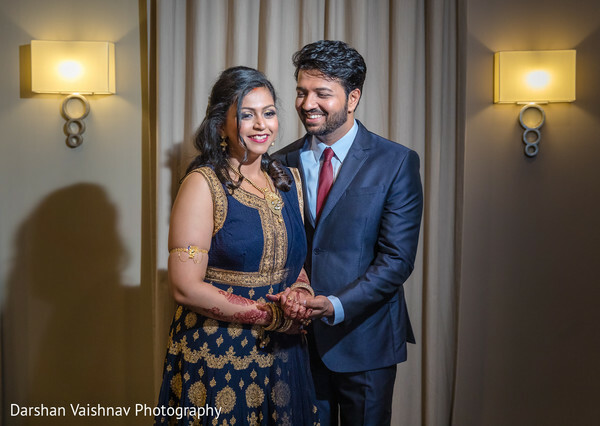 Darshan Vaishnav snapped the official portraits while Raj Rimal captured on film all the main and candid moments you can find featured in our Video Blog! 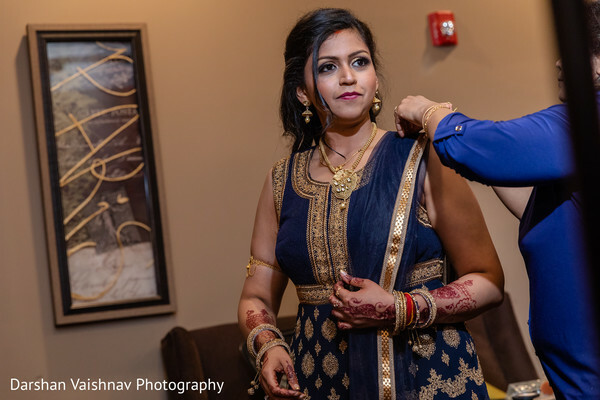 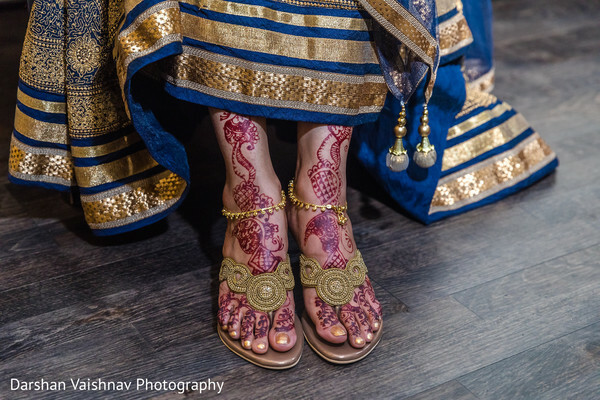 Shruti's Beauty & Bridal Salon provided a dream look to Sai and created charming henna whirls and paisleys that stood out thanks to her light jewelry! 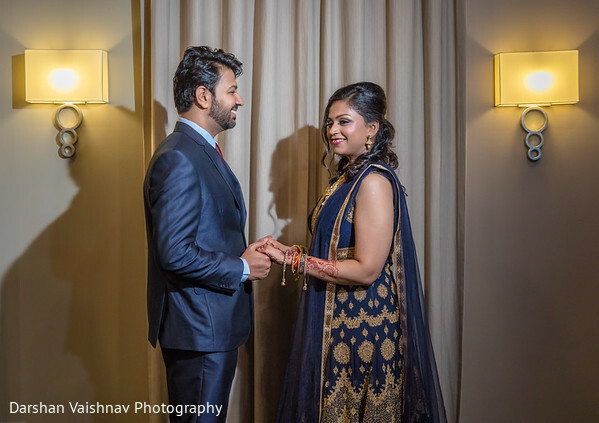 At the same time, Abhishek fit the formality with a blue suit and injected some bold color to the assembly with a crimson tie. 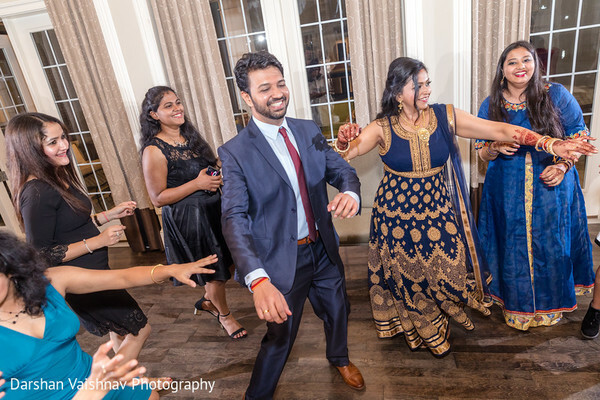 These two were a vision in blue as they were encircled by the guests and joyfully danced for the first time as Mr. and Mrs. ISKCON of DC guaranteed a wonderful feast with a special dinner that indulged all the privileged attendees. 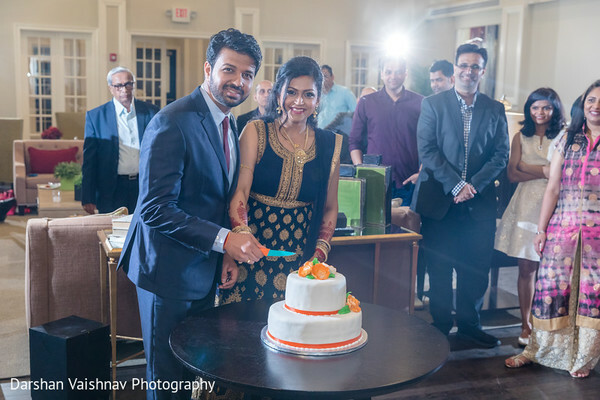 Towards the end of the night, the cutting of a sweet two-tiered wedding cake was one of the last official moments of this gorgeous union! 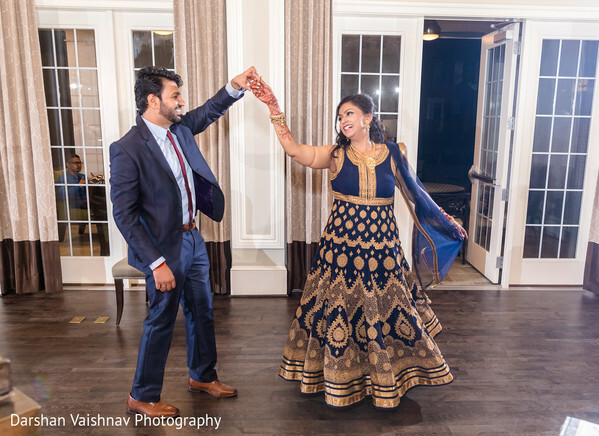 See all the wonderful reception pictures in our complete gallery!